Or you can click HERE to follow online. Every Tuesday, teachers will be posting to Instagram using the hashtag #teachertalktuesday. 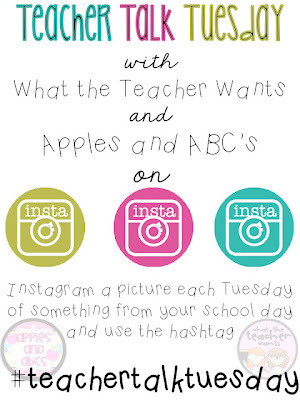 You will be able to find lots of Insta ideas for your classroom and everything else! Be sure to join in the fun! I love your blog - I am on Instagram, too, and will check you out! We need those chill pills in our lounge! welcome to the instagram craze - I love it!!!!! This blog site is too perfect for a beginner! Realy really Good job! I hope you could provide us more photos and updates. I’m very much looking forward to see the apex of your works and contributions to share! Likewise the name of your site is so unique and interesting. See you around! Have a nice day everyone! End of the Year FREEBIE!! !